It would be great if every ride request we received was nearby and we could auto-accept all of them. Unfortunately, that is not always the case, and there may be some requests that we want to decline or even cancel. How do these declined or canceled requests affect us? Joe here with The Rideshare Guy, and today we’re going to discuss acceptance and cancellation rates. Check out the video below, or scroll to the video transcript if you prefer to read. What’s the difference between acceptance and cancellation rate? Acceptance rate is the amount of requests you accept divided by the amount of requests you have received. This is actually Uber’s definition of acceptance rate. Lyft’s definition of acceptance rate is a little more nuanced, and we’ll discuss that in a little bit. For example, you start your day, you accept your first request, then your acceptance rate would be 100%. Say your next request, your second request of the day comes from 10 miles away, and you decline that request. Then your acceptance rate would be at 50%. As far as cancellation rate, that is calculated by taking the amount of requests canceled by you, the driver divided by the amount of requests that you have accepted. And a driver-canceled ride is any ride that you accept and then cancel. If you decline a request by tapping the “x” with Lyft or tapping “No Thanks” with Uber, that is not a canceled ride, but a declined request. Also, if you let the 15 seconds pass and don’t touch anything on the screen when a request comes, that is also a declined request. When a passenger no-shows you on Lyft and you cancel that ride and accept the cancellation fee, your cancellation rate is not affected at all, but it is affected with Uber when that same thing happens. Although Uber will take these cancellations into account if your cancellation rate ever is flagged in the system. Passenger canceled rides have no effect on your cancellation rate whatsoever. Cancellation rate is only calculated using driver-canceled rides. An example of cancellation rates; say you accept 50 ride requests in a given week, and you cancel three of them. Your cancellation would be 6%. How does your acceptance rate affect you? With Uber, the only thing you really want to worry about is if you are declining or missing a bunch of requests in a row. You may be logged out of the app for 10 to 15 minutes, but when it comes to bonuses, Uber has moved away from acceptance rate requirements in most markets. 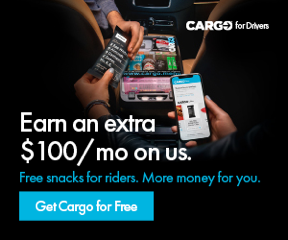 With Lyft though, and their Power Driver bonus, there are a lot of drivers that need to maintain a 90% acceptance rate for the week in order to obtain that bonus. Although, we have heard for some drivers, Lyft is removing that acceptance rate requirement altogether for promotions. Lyft calculates acceptance rate by taking the number of completed rides plus the rides marked as “no show”, and dividing those rides by your total ride requests. Again, this is a weekly calculation. This resets every single week. So one thing that sticks out in that calculation is rides marked as “no show”. I used to think that any ride that you accepted affected your acceptance rates. So if you accepted a ride and the passenger canceled right away, then that affected your acceptance rate. That would improve your acceptance rate, because you accepted that ride. Unfortunately, that’s not the case. Passenger canceled rides do not affect your acceptance rate. The only time your acceptance rate is affected is if you’ve arrived at the passenger’s location, you’ve waited the five minutes, and you’ve marked the passenger as “no show”. That will improve your acceptance rate. There are three ways to negatively affect your acceptance rate. If you decline a request, if you miss a request, or if you cancel a ride. Also, there are no decimal points with acceptance rate. So say your acceptance rate is 89.5%. That will round up to 90%. Here’s an example of a calculation. Say for the week, you had 45 completed rides plus two rider no-shows. That would be a total of 47 accepted requests for the week. Let’s say you declined five ride requests because they were too far away. That would be a total of 52 total requests for the week. 47 divided by 52 total requests equals 90%. And Lyft does not give you that calculation for the week. They just give you a percentage. So if you want to know your true percentage, if you want to calculate your true percentage, you’re going to want to keep track of the no-shows and you’re also going to want to keep track of your declined, your missed, and your canceled rides. At the beginning of the week, you want to be aware of the total amount of rides you need in order to qualify for your Power Driver bonus. For example, I need 45 rides in order to hit the lowest-tiered Power Driver bonus, for me personally. At the beginning of the week, I know that I can miss or cancel five requests and still maintain that 90% acceptance rate. 45 divided by 50 is 90%. How does cancellation rate affect you? In the past year, both Uber and Lyft have made it a lot easier to just decline requests. Previously, if you got an unwanted request, you would either have to wait the 15 second and completely ignore that request or accept the request right away and then cancel it. But in the past year, both Uber and Lyft have added the functionality. With Uber, they’ve added that “No Thanks” button, so you can just press “No Thanks” right away, and decline the request. With Lyft, they have that “x” up in the top left. You can just press that “x”, and that’s the way to decline a request. And again, when you decline a request, that only affects your acceptance rate. It has no affect on your cancellation rate whatsoever. But there still may be times where, say, you accidentally accept a request or maybe you accept the request and decide that you don’t want the ride. Or maybe, you’ve accepted a Lyft request and then a better serve request comes on Uber and you want to take that one. Under these circumstances, it is totally understandable if you want to cancel some of these rides, but you want to keep those cancellations at a bare minimum in order to avoid potential deactivation. There’s really no specific cancellation rate that will trigger deactivation, but the warning signs will be there, if you’re constantly getting texts, emails or any at messages letting you know that your cancellation rate is getting to high, you could be possibly facing potential deactivation. Deactivation for high cancellation rate is usually not something that you can get reactivated for. Again, just try to utilize the “decline request” option for unwanted rides, and limit your cancellations as best you can. So to summarize: The main thing to worry about with acceptance rate is the Lyft Power Driver bonus and temporary app logouts if you are declining too many requests in a row. As far as cancellation rate, just try and decline those unwanted requests and keep your cancellations at a bare minimum. Thanks again for watching and drive safe. Thanks.